I expressed my concerns earlier this week about the mystery of our missing milkman and the suspicions that our new milkman is arousing in my mind. I appreciate all the comments from other bloggers – no small matter on my mind this has been! You are all so lovely to have given me feedback with my dubious dairy dilemma. Well…after receiving yet another overdue payment letter this week, I rang the milk company again on Friday, as last week we used her my landlady’s credit card to make a payment, which we thought had cleared the account. the adviser had never heard of a milk-caddy with a dial! she was shocked when I told her our old milk-man used to deliver the milk around 10 or 11am. She told me milk should be delivered before 7am! I made her cry telling her how fond everyone was of our old milk-man and how lovely it was to see his cheery face and have a chat with him. We both agreed that it is lovely to see a local milk-man who is friendly and a part of the community. 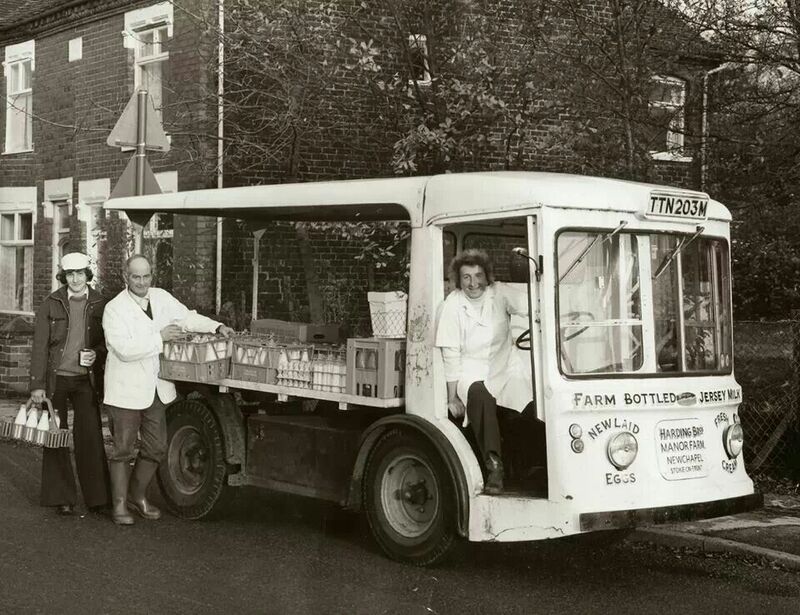 We both spoke rather nostalgically of the “olden days” when neighbours chatted over the fence and everyone knew the milk-man and the post-man and the coal-man (hold on a minute I am much too young to remember the coal-man – but she remembered him). I admitted to her that I am afraid that it could have been our lovely milk-man that may have died due to illness. I explained that would rather explain his mysterious disappearance. She said that all she knows is that it was very sudden and unexpected, but she has no idea where his milk-round was. Perhaps I have been a bit over-imaginative in my detective work. 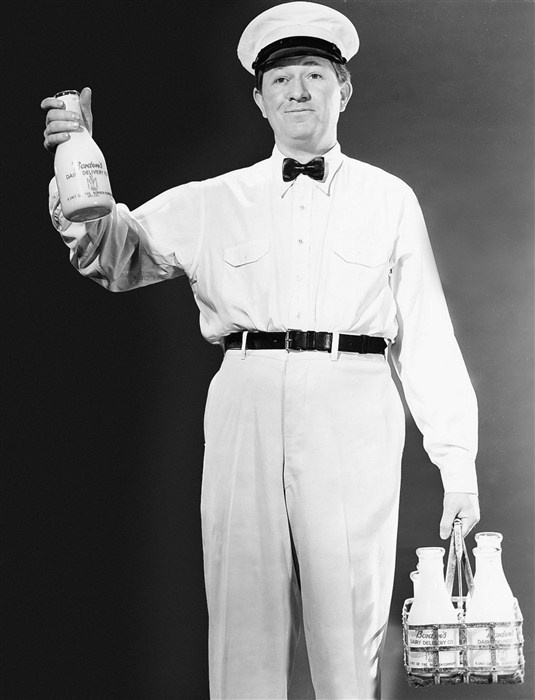 I am starting to conclude that my theory about a new milk-man with “issues”, who was at war with my landlady over her complaints, is highly improbable – because it turns out we might be having a different milk-man every week! And of course my far-fetched fears about the disappearance of the old milk-man being due to some nefarious act on behalf of the new milk-man is also seeming even more absurd. I am still faced with at least one of the milk-man “temps” being slightly dodgy, but I think I have to recognize that my suspicions were inordinately large. 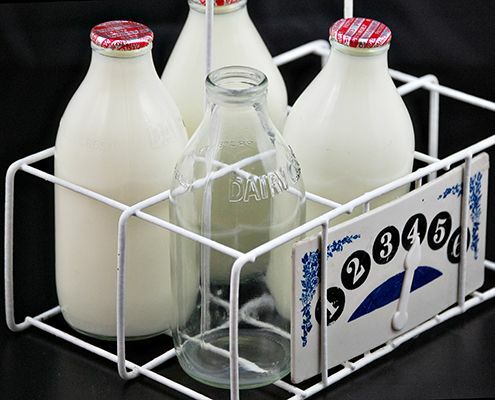 All I can accuse him of at the moment is not understanding how a milk-caddy works (which apparently is not unusual! ), having an unkempt appearance, nearly running me over in his milk-float when he came around the corner too quickly, and lurking down cobble stoned alleys with shady looking photos. However, I think we can all rest in peace that whatever his misdemeanours may be, they are not on the scale I presumptuously concluded they were. We can all return to enjoying milk again (well some of us can enjoy the dairy-free alternatives). 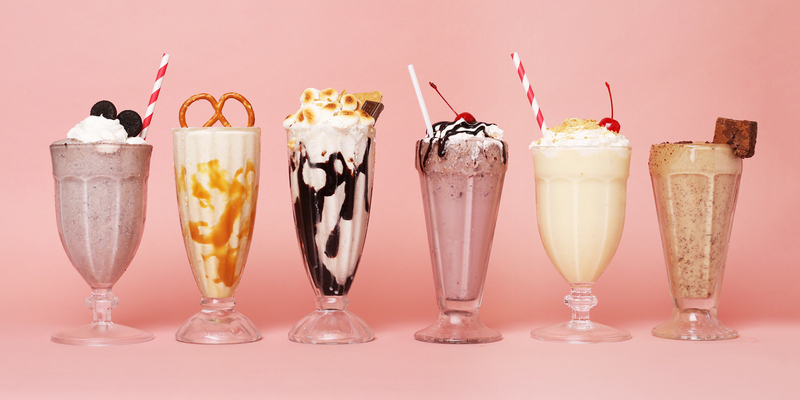 Is anyone for a milk-shake? You seem to have solved the problem, or rather most of it. It so sweet of you to be concerned about the “Missing Milkman “ even though you don’t have milk yourself. 😃 Havea good Sunday. Oh thank you Chiru! That is very kind! I will work on a post and publish it within a week I promise. I have a lot of posts stacked up scheduled to be published in the meantime. Take your time..😊😊 post it when you can..